Our challenge this week has been given to us by Vicky. Seeing as though we are in the month of July, thought it would be fun to have a challenge with a Christmas Theme. 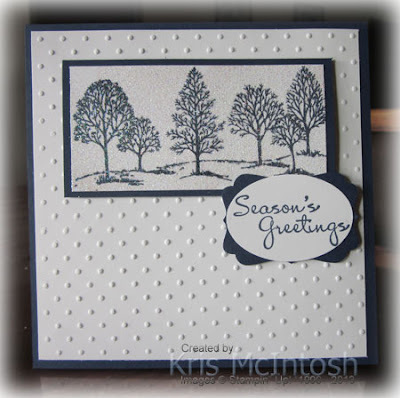 You are able to use retired stamps for your card, scrapbook page or 3-D item, but you do have to use the sketch. Hope you are not too busy to join us this week. I truly love seeing all your gorgeous creations. Don't forget to pop back and add it to Mr. Linky and remember you have two weeks to upload your creation. Libby, Vicky, Gwen & Kris.